A portrait of Malala Yousafzai, activist for female education and the youngest-ever Nobel Prize laureate by Zainab Khan. The painting has been used in fundraising efforts and to heighten global awareness for organizations such as the Malala Fund so that girls have a right to an education. It's a herculean effort, taking on a fight against injustices and violence committed against women around the world. Zainab Zeb Khan, born in the United States with a father who immigrated from Afghanistan, is steadfast in confronting cultural norms that restrict the autonomy of women and girls, usually abdicating their access to education, preferring them to marry at a young age while subjecting them to the a possible fate of female genital mutilation (FGM). Zainab is sought out for expertise on honor-based violence due to her experience as a licensed clinical therapist, working closely with survivors of domestic violence, particularly in the South Asian community. This led to wearing the title of global women's rights activist and leading artist whose work is being used for social change by nonprofits working to eliminate poverty, violence and discrimination. She was featured in Honor Diaries, a documentary that profiles women’s rights advocates coming together to discuss the culture of “honor” and the challenges some Middle eastern women face. Recently, she was awarded for her advocacy of racial justice by the YWCA Metropolitan Chicago. Thus, making her a delegate at the United Nations’ 59th Session on the Status for Women which rallies representatives from all regions of the world to implement plans on achieving global gender equality and the empowerment of women. Women For Action: What led to your work as a human rights activist and humanitarian? Zainab Khan: The journey I have been on has been nothing short of amazing. Every day, I am grateful to the opportunities and freedoms I have. It’s almost surreal to think about it in this perspective, but someone fought for my rights. Someone had fought for me to be able to vote, to work, to receive the same pay as my male counterpart. To have equality in so many realms of life is almost unheard of in so many parts of our world. The only thing I can do is continue the fight, and my passion for human rights remains innate. I realized that the multifaceted issues regarding women’s rights and equalities exceeded my ability to address it solely; it was one that required a global movement. The world we live in is much more connected and shared than we realize. Quite often, there is a tendency to think that a problem or issue that happens “over there” does not pertain to our own scope of life. Global change begins with local impact, and I became involved with national and international organizations all working in various dimensions and arenas, but aimed towards a common, shared goal: reducing gender disparity and eliminating violence against women. 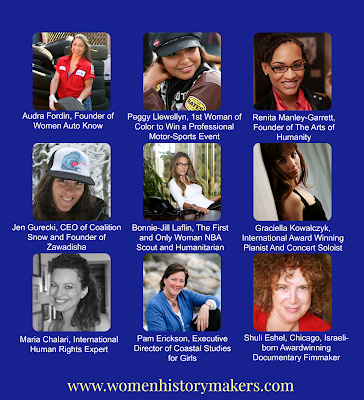 Women For Action: You were featured in the recent documentary, Honor Diaries. The film featured women experts like yourself lending their voices on issues facing women in Muslim-majority societies. Tell us what led to your role in the film? Zainab Khan: I was humbled to be alongside such courageous women in Honor Diaries. A little over 2 years ago, a group of women, myself included, convened in a salon-style setting to discuss issues that were glaring pertaining to women’s rights but had yet not been discussed. Fast forward to now, as we see that Honor Diaries transformed into something than just a film, it became a movement. Honor Diaries provides a fair for open discussion, opening the door to allow others to join a movement. One of the key messages of this film is that people of all backgrounds and perspectives should be aware of and comfortable talking about this issue. And in places where they can’t speak out, the film is doing it for them. I’ve attended nationwide screenings of Honor Diaries and have seen people around the world embrace it and its message. I have met survivors of honor based violence such as FGM and forced marriage after screenings that credit the film as their source of support and strength for now speaking out. With me, they have joined the movement committed to end violence against all women throughout the world because culture should never be an excuse for abuse. When we unite for what is the most significant human rights violation globally, empowerment is shared and becomes a powerfully resourceful tool. Women For Action: You were recently chosen as a UN delegate to attend the 59th Session of the Commission on the Status for Women. Can you explain the significance of the annual conference and what were your activities while in attendance? Zainab Khan: This was a unique experience for me. As I was in attendance as an observer/reporter, I was able to attend a multitude of events and form an analysis from a very objective viewpoint. The majority of the events, I attended centered on issues pertaining to women in the Middle East. It was very interesting to see that honor based violence was a theme/topic that was covered by many NGO’s, a stark comparison to the year prior. This signifies progress in advocacy and awareness, but there is much more work yet to be done. We are still struggling with gender equality here in the United States, with women receiving less pay than their male counterparts, and fewer access to resources for economic and educational advancement. 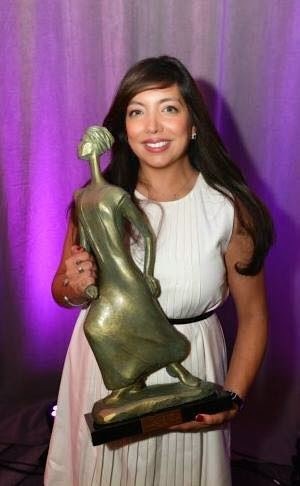 Women For Action: You were recently awarded and recognized by YWCA Metropolitan Chicago as a leader for racial justice. What led to the establishment of such a prestigious award and how do you feel about such a notoriety? Zainab Khan: It was such an honor to receive the award. It motivated me even more to step up my game and challenge the barriers that continue to reinforce racism or prejudice. The award is definitely a major milestone in my life, and I hope that I can continue to pave the way towards racial and social justice. 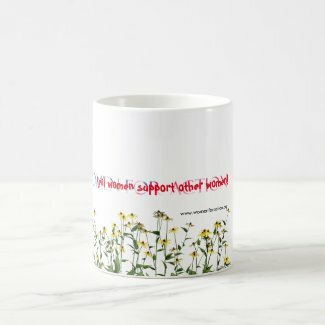 Women For Action: You are also an artist. Your work can be described as powerful mechanisms for social change. Sometimes your pieces depict obstacles and struggles or even compelling women subjects. What sort of mission do you have for your artwork? Would you say that there is a parallel between your art and your personal story? Zainab Khan: Art is my soul. For what I can’t say verbally, I communicate visually through my paintings. I am very grateful for the national and international opportunities I came across to exhibit my paintings. I recently gave a TEDx talk on the power of art and activism, "How to Fight Injustice Without Saying a Word". I made a decision very early on that my art needs to deliver something back. It needed to become an action item and move beyond the conditioned notion of it just hanging on a wall. I paint in oils and have been tremendously influenced by the works of Salvador Dali, Rene Magritte, Pablo Picasso, and Frida Kahlo. I have been painting for 16 years and taught myself techniques and skills to almost a neurotic perfection before opening my work up to the world. I am now at the point as an artist to explore, share, probe and break paradigms that exist to create a new culture and movement of art. My art has been used to raise funds for various non-profits, recently UNICEF. Women For Action: You’ve also been featured on various news platforms. Do you feel these special appearances are aiding your work? How so? Zainab Khan: I am always grateful for the opportunity to share and discuss my work, because it helps amplify the efforts that are still very much needed. Media has been a powerful tool that encourages social reform and enables transparent interaction across the span of the world. Digital media, in particular, has the force to reach even the most fragile societies. This is how we are able to critically engage with the masses, and learn from first hand perspectives. I use the media as an icebreaker, as a source of voice for those who need their stories shared, and to build platforms for dialogue which previously may not have been available. Women For Action: With all these things being on the table, an activist, humanitarian working towards global change, and leading artist, what sort of impact would you like to achieve? Zainab Khan: I hope that my work encourages and motivates others. I am an advocate for youth, and I hope that I’ve set a strong example as a role model for someone who may have the same passion and zest to do well and leave an impact in the world. Women For Action: What will be your legacy and what sort of future would you like to see? Zainab Khan: I’m not sure what kind of a legacy I will be leaving behind, because in my perspective, the real work for me has just begun. Never underestimate the power of change one person can bring through their determination! To carry efforts over, we need to mobilize and garner strength in numbers. Social progress and change can best be initiated through collaboration and solidarity. Women For Action: What’s next for you or are you currently working on any new projects? Zainab Khan: My future ambitions are aimed at nurturing and cultivating a new voice of leadership, particularly for Muslim Americans. I am in the process of launching Muslim American Leadership Alliance (MALA), which embraces the values of individual freedom, human rights, gender equality, and democracy as cherished universal ideals. Through a lot of my social and civic engagement, I recognized the pressing need for a fresh and accurate representation of Americans of Muslim heritage. MALA values choice and freedom as a cornerstone for a better world, and encourages active discourse to address some of the most challenging issues that are a part of our current world affairs. Many of the campaigns will aim to empower and build stronger partnerships with the next generation of American Muslims via engagement to discuss issues of culture, identity, and global connectivity. Women For Action: What sort of advice would you lend to a girl or your woman reading this interview? Zainab Khan: There is a quote by Rumi that I love: 'You've seen my descent, now watch my rising.’ Regardless of any challenges, obstacles, or losses that you come across, there is a fearlessness deep down inside you. Reach for it, because it'll guide you through everything.